1 Toggle Air Engines¨2 Toggle lf/o Rockets¨3 Toggle Nerv Engine¨0 Release All docking ports¨¨Complete craft capable of 100k LKO with margin for error. 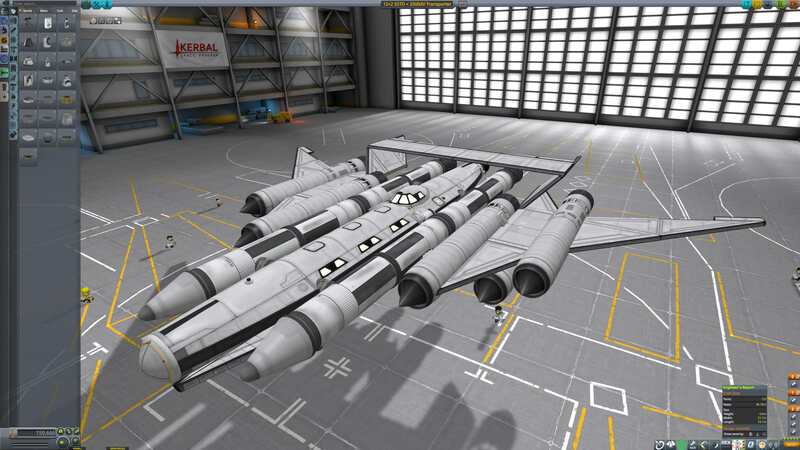 A mod aircraft called 12+2 SSTO + 2500dV Transporter. Built with 132 of the finest parts, its root part is dockingPort3.